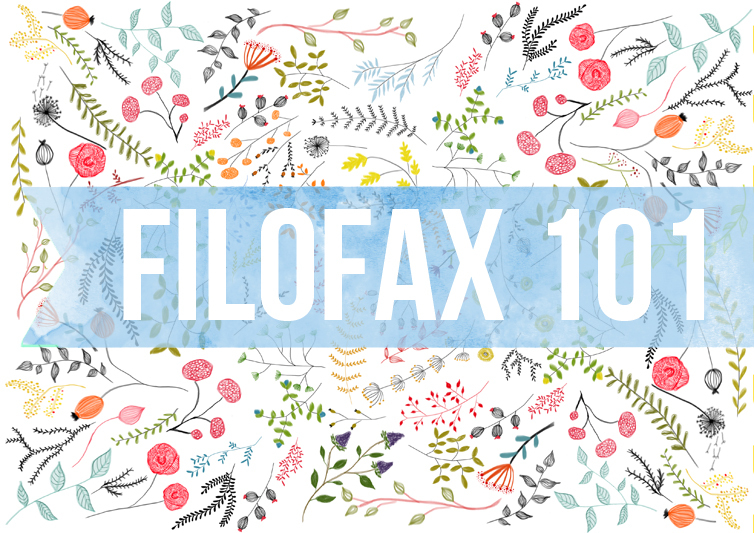 If you didn't catch the first post of my Filofax for dummies series, check it out here. This week, it's all about supplies that help you get started in setting up your planner of choice! With all the hype Filofax and other type planners have been getting online lately, including a number of groups, forums, blogs and even youtube channels dedicated to the subject, a lot of people would think that setting up a planner is a costly, time consuming journey. We see people spending hundreds of dollars on designer ring-bound planners, inserts, stationery and other supplies, and it kind of defeats the purpose, since most of us use our planners to help us save money and also be time-effective in our daily endeavors. Today we're gonna busts some myths surrounding planners, and in the upcoming couple of steps, I'll show you a way to get you started spending as little money as possible, while still being effective in your planning! Before you start digging deep into your pockets to buy the Filofax, Franklin Covey or Kikki K of your dreams, take a step back. If you're reading this, chances are you're either new to paper-based planning or have had several failed attempts at one, that may or may not have involved you spending a considerable amount of money on something that didn't quite work for you. If you're one of those people who have their planners stashed away and forgotten in some junk drawer, or have a chaotic mess of tasks, deadlines and ideas in your head that builds up guilt, you need to try this! Your list of course will be different depending on your job, lifestyle, and a number of other factors. 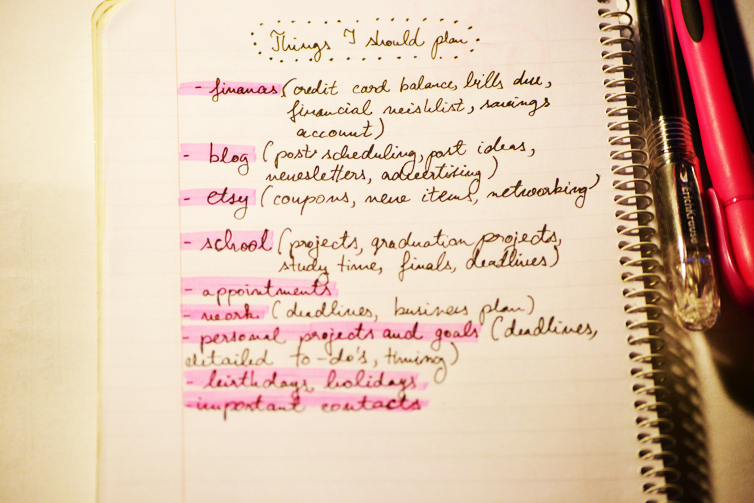 Tip1: Next to every main section of your list, write down an outline of what it will contain. The things you have on it will more or less be your planner sections. Once you have a complete list, you've got two more things to do. The 1st one is to check it again and weed out anything that is either not super-important, or can be integrated in another bigger section. This will be helpful along the line, as you want your planner to contain only the most vital information, and if you fill it up with sections you don't use, you will just end up with more chaos. The 2nd thing you should do with your list is prioritizing: this will pretty much set the basics of your setup and when you actually start to fill your planner, it will guide you. Tip2: The most important information, the things you use most frequently should be placed right at the beginning of your planner. Take a look at the things I have on my first couple of pages for inspiration. Tip3: If you put confidential information like passwords, credit count numbers or other personal info you don't want everyone to see, put it on the very last page of your planner, and never lose it out of sight! 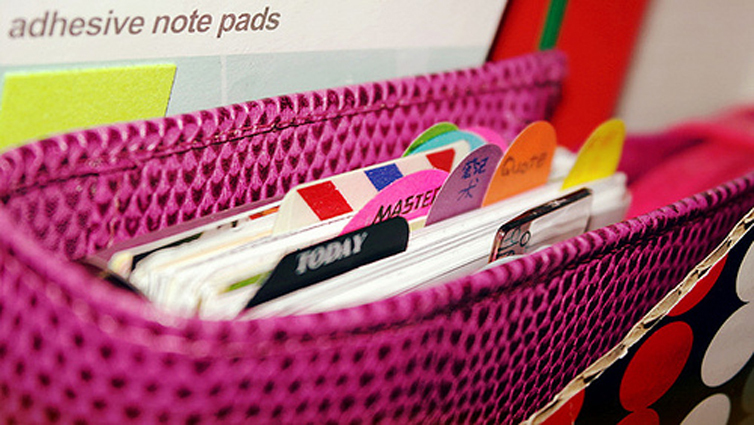 When we thing of planners nowadays, we associate them with washi tape, sticky notes, dividers, page tabs and different kinds of calendar inserts. There is an endless range of stationery and planner resources out there, and we can easily end up buying based on what we see other people use, and end up not using those resources effectively. The way to avoid this is to think of what you really need, before you go on a stationery binge. Here is a list of the paper-based planner-resources out there that I know of, and a basic outline of what they can be used for. Pick out the ones that you think are essential for your planning strategy. -Year at a glance/Year on 3 pages: An outline of your year. Useful to mark holidays, birthdays, vacation time, deadlines that are important. Tip4: you can easily create a tab with the text "Today", hole-punch it and always put it in the section you are currently using, for easy access! -ready-punched clear pockets: can be used for storing credit cards, business cards, lose pieces of paper, receipts, coupons etc. Stay tuned, subscribe to my newsletter to get exclusive freebies, discounts on my Etsy items and keep updated with my new content. The next post of this series will be coming next week!